BOOKING THE JOURNEY at Otis College of Art and Design library showcases a display of artist’s books that thoughtfully express the experience of one’s journey. The exhibition encourages a different perspective of exploration and discovery through sharing. There are many books on display, but the one that spoke to me is Daniel Mellis’ book The Stages of the Hajj. It must be said that when I first picked up the book, I did not know the meaning of “Hajj”. However, I was still able to adventure through the stages of the Hajj, and as I continued my journey, I began to form an idea and grasp the concept with ease. Just as the title states, it is the artist’s interpretation of the journey made during the religious pilgrimage to Mecca. 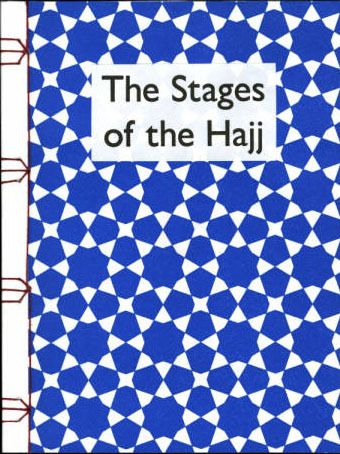 Mellis translates the different stages of the scared journey through abstract means, using only geometric representation of the obligatory activities of the Hajj. The content is powerful because the different layers artfully come together to create a powerful experience. Along with the minimal representation, he limits his description to concise captions that support his visual images rather than distract from them. The text becomes another layer to the concept instead of taking charge; it points you towards understanding. The book engages the reader by adding a layer of interaction, especially the stages that require physical interaction with the book, such as the stage of Mt. Arafat, which is represented by a pop-up ridge. 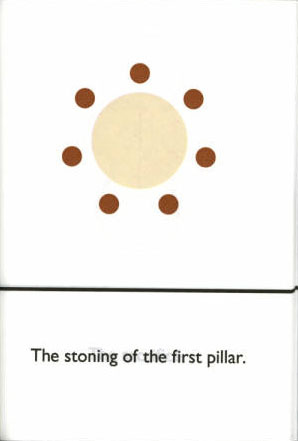 Although this particular page is physically interactive, it does not mean other parts of the journey are not engaging. 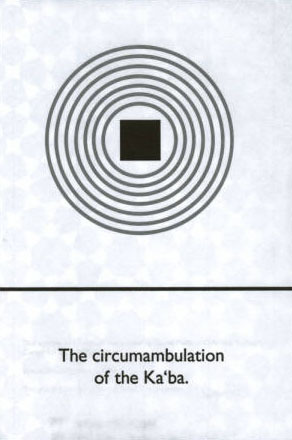 In fact, the abstract geometric shapes induce the reader to not only think about but also gain a personal stance at each stage. This interaction allows the reader to become a part of the journey and I find myself discovering the hardships and complexity of the pilgrimage. I recommend that you take the journey not once but multiple times. It is like a real pilgrimage, one time is not enough to fully grasp everything. The journey only comes full circle after multiple trips. 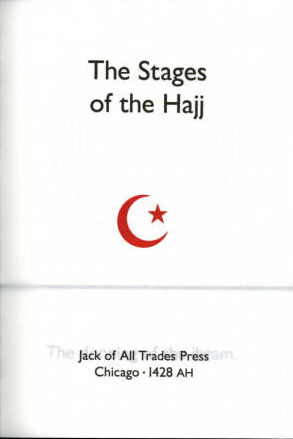 The Stages of the Hajj is an excellent first venture into the realm of the Hajj. Jenny Kim is the Preservation Tech at the Otis Library and her post is the first in a series that will feature students’ interaction and interpretation of items from the library’s Artists’ Books Collection.